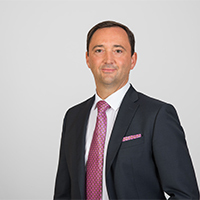 BELLIN is the global leader in technology for corporate banking and treasury. We provide solutions for the financial sector, catering to a range of clients from large multinationals to SMEs and banks. Founded by a treasurer, BELLIN has been championing innovation and out-of-the-box thinking since 1998. With the treasury software tm5 as the centerpiece, BELLIN makes a fundamental difference by offering solutions that zero in on the relationship between corporates and banks and cover everything from payments to FX, cash and risk management. BELLIN delights 500 clients and over 80,000 users around the globe. In a globalized and challenging business world, you need a flexible and collaborative treasury management system that is accessible anywhere. BELLIN’s tm5 is a comprehensive and integrated treasury platform that consolidates typical treasury tasks into one convenient interface. tm5 excels in cash and liquidity management, secure global payments, bank connectivity and in-house banking. Additional features that tm5 boasts are investment and debt management, FX, commodity, interest rate management, reporting and security. All functionality provided meets the highest security and fraud protection standards. tm5 steps in as an all-in-one treasury management platform with a heightened focus on security by providing cutting edge in-house modules supplemented with third-party integrations. With headquarters in Germany, BELLIN is an international company with over 200 dedicated experts across North America and Europe. 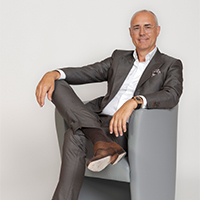 Several partner companies extend the BELLIN network into areas such as Japan and South Africa, including ENIGMA Consulting, BELLIN’s authorized partner in the Netherlands. 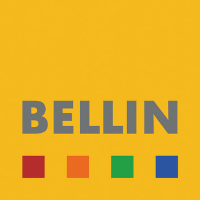 For more information visit www.bellin.com.